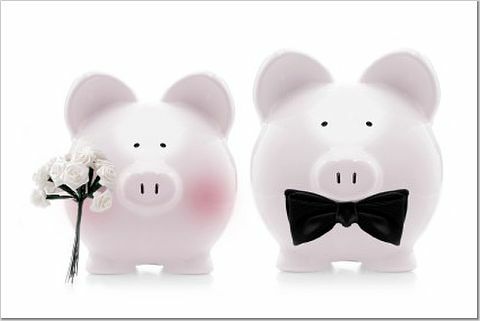 The truth is that planning a wedding can be stressful and take a heavy toll on you financially and emotionally. It doesn’t have to be quite so bad. You can avoid most of the hassles and headaches associated with a wedding by adhering to these wedding day DON’Ts. 1. DON’T go into debt just for the big day. You should make it special and memorable, but don’t do it at the expense of your financial future and marriage. Create a realistic budget, and stick to it. The first years of marriage are hard enough without adding the stress of excessive debt to the mix. 2. DON’T be your own event planner at wedding. The stress of trying to keep everyone and everything on schedule will take away from your enjoyment of the day. Let others take care of the details so you can just relax, smile, and enjoy your special day. 3. DON’T be late for the date. This applies to the bride, the groom, and everyone else involved in the wedding. Be considerate of your guest as well as the vendors servicing your wedding; try to start your wedding on time. If you must delay the start of your wedding; do so by no more than 15 minutes. 4. DON’T forget to eat a little something. A famished and fainting bride and groom are a bigger problem than you might think. Don’t skip breakfast just to look svelte in your wedding attire. It may be the only time you get to eat and you’ll need the energy. Eat something before the wedding, and try to eat a little something at the reception too. 5. DON’T forget what the day is really all about. It is about your marriage not just a day. The day will pass quickly and seem like a blur. Try to remember the feelings you two are sharing on your wedding day. Commit yourselves to finding a way to bring the same joy and happiness to your marriage every day. This entry was posted in Budget & Finance, Wedding Advice & Tips, Wedding Planning and tagged budget & finance, Wedding Day, Wedding Planning. Bookmark the permalink.